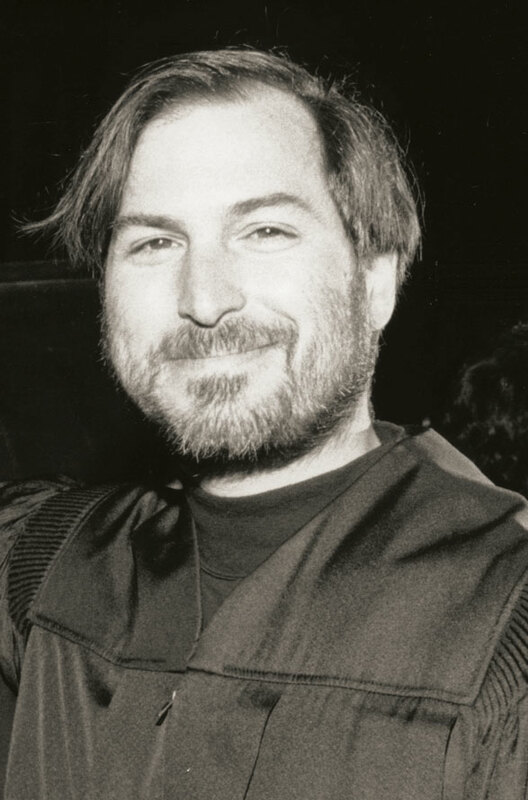 Steve Jobs ’76: Reed was a much deeper part of him than one might think from his official transcript. Steven P. Jobs ’76 died on October 5, 2011, in Cupertino, California, from cancer. Even though he was officially enrolled at Reed for a single semester, he was the quintessential Reedie. Steve also forged a unique bond with Dean Jack Dudman ’42. Not only did Jack allow Steve to hang around campus, but he provided moral and financial support, even going so far as to slip a surreptitious $20 bill into Steve’s tattered coat pocket. Steve later called Jack "one of the heroes of my life." “He was a true son of Reed,” said his comrade and colleague Prof. Richard Crandall ’69 [physics 1978–2012], who worked with Steve for many years and later held the title of Apple Distinguished Scientist. Read more about Steve and Reed.